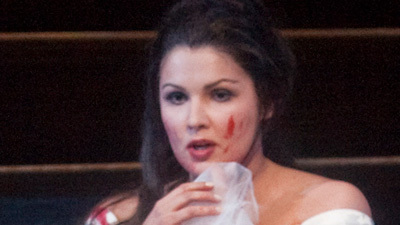 The tragic tale of "the bride of Lammermoor" has always been a favorite of opera-goers and sopranos alike. Yet with the riveting singing actress Natalie Dessay in the title role, Lucia's plight and descent into madness take on another dimension. Joseph Calleja is an ardent Edgardo, the man she loves but is not allowed to marry. Instead, her brother Enrico (Ludovic Tézier) forces her into a union with the rich Arturo (Matthew Plenk) to save the family fortunes. 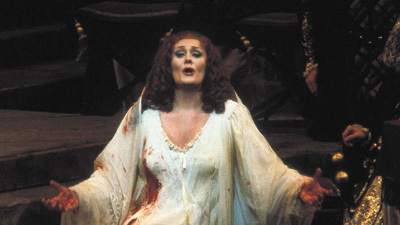 It proves too much to bear for Lucia—but certainly not for Met audiences, who hailed Dessay's stunning performance of this iconic bel canto role.